Video Games vs Movie design. The word “design”, when it comes to film, has no limitation to anyone involved. Directors, actors, producers, cinematographers, etc., are constantly designing their respective roles, thus shaping the film. Video games take the “design” aspect one step further, in terms of building an interactive layer with the story. This isn’t to say video games are superior to film, for both mediums work within specific apparatus’ and audiences. However, despite the differences in specific audiences that the mediums appeal towards, they share a lot of similarities. In my opinion, video games are as cinematic as movies when proper time and talent is put into to the project. This is true for both mediums. Take the 2017 title God of War, a game from Sony Interactive, which presents its narrative in a single shot format, much like 2014’s Birdman, directed by Alejandro G. Iñárritu. This is a prominent example of approach to interactive storytelling. 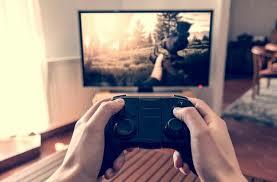 Acting takes a extensively large role in interactive entertainment. For some, performance can make or break someone’s immersion in a game. A good performance in a video game can be as impactful and memorable as a film actor. Sure, it may not be as demanding to travel to actual locales or settings, but to create a performance, from a recording booth or in a mocap studio, is remarkable. Take a look at Nolan North, an actor with so many memorable roles in video games, too many to list really. He’s a household name for individuals who play games, and also, like film actors, his presence sets the standard of professionalism and quality for each of his projects. As someone who is actively indulging in both film and video games, I can confidently say that the two mediums have much in common. I’ve seen all types of films and games with different genres and ways to tell their respective stories. I’ve also seen great performances, both from the well-known actors to the lessor-known. If there’s one point I want to get across is that we shouldn’t take the value away from something just because we don’t immerse ourselves in it. I’ve heard plenty of people throw video games to the side as violent and damaging. Movies can have just the same effect however. Don't take the value from any medium until its been analyzed and experienced. It might inspire someone else to create something extraordinary. My brother recommended I might like thks blog. He used to be entirely right. Thiss submit actually made mmy day. You caan not consider just how so much time I had spent for this info!